"They look like good legal opinions, they're lengthy, they're well typed, spell check has been used, they cite a lot of cases, and there's a lot of footnotes. But the ones that I saw, many of them, seemed questionable in light of my understanding of the Constitution or the relevant statutes." 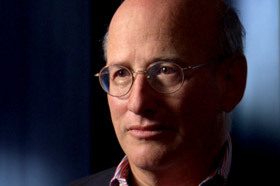 Richard Shiffrin was the Pentagon's deputy counsel for intelligence during the early years of the George W. Bush administration. In that position, he oversaw legal issues for the Defense Department's intelligence agencies, including the Defense Intelligence Agency and the National Security Agency. Though Shiffrin was included in a number of intense meetings of administration lawyers and policy makers in the immediate aftermath of September 11th, 2001, he was eventually marginalized. He was not informed, for example, of the domestic spying programs of the National Security Agency - even though the NSA was included in his realm of responsibility. A former prosecutor in Miami-Dade, Florida, Shiffrin was first brought to Washington by then Attorney General Janet Reno to serve as Deputy Attorney General in the Office of Legal Counsel during the Clinton administration. 9/11 created or contributed to what became a perfect storm. Having worked for the previous eight years in the federal government -- in the Department of Justice and the Department of Defense -- I perceived, not surprisingly, a considerable shift in approach when the new administration came in. The approach from the Secretary on down was that most, if not all, of what we had been doing at the Department of Defense was wrong, was ill-founded, ill-directed, misguided, and needed to be changed. So that when 9/11 happens it's not surprising that new, radical, revolutionary, and even strange ideas are brought to the fore because that was sort of the approach even before 9/11. 9/11 itself of course for anyone -- I think all Americans, but especially those who were closest to the scenes of the two tragic events, the World Trade Center and the Pentagon, it's difficult to describe in a way that conveys the magnitude of the event. Lives lost, people injured, lives disrupted, just doesn't measure or in any way describe the effect on individuals who were there. I recall turning on the television in my office. I don't remember what prompted me, but I often had it on -- the news on in the morning. And maybe someone had said to me a plane hit the World Trade Center, one of the buildings of the World Trade Center. I put the television on and saw live the second plane hit the World Trade Center. Someone I had been assisting called me shortly thereafter and asked me about something that I owed him, some package that I was supposed to be working on. And I said to him, "What are you bothering me with about this, the country's under attack." He said, "What do you mean?" And I said, "Well, put on the news. Planes have struck the World Trade Center in New York." And I think within a matter of minutes I felt and heard the concussion of the plane hitting the Pentagon. And I describe concussion as sort of what you feel when you're next to a big bass drum in a rock band and you feel that thump in your chest. That's sort of what I sensed because I was two sides of the five-sided building away, but definitely could feel it and hear it. And then of course your thought is, "Am I going to get out of this alive?" And I think my second thought is, "The Pentagon's so massive. Yeah, unless they start running five or six planes into the Pentagon, you know, it shouldn't be a problem." The first event that I can recall that I guess was distinctive was a meeting at the White House, called by White House Counsel I believe, of all the lawyers who were involved in intelligence matters. I recall it being held in a fairly large room, which was unusual because most meetings I went to at the White House were either in the White House Counsel's office or one of the smaller rooms in the west wing. This might have been the Roosevelt room, I just don't recall. But I remember it being a large room with a large table and there was an agenda because we had some time to prepare; it may have been two days or three days or four days. And the subject was proposed or necessary modifications to the executive order governing intelligence matters; that's President Reagan's executive order 12333, which has been around since 1982, I believe, '82-'83. And everyone was supposed to come to the meeting prepared to discuss what they believed would be appropriate and necessary changes in that executive order. I was the Deputy General Counsel for Intelligence for the Department of Defense. What that meant, practically, was that I served in an intermediate supervisory capacity over the General Counsels of the Department of Defense intelligence agencies. So that was the National Security Agency, the Defense Intelligence Agency, the -- at the time was the National Imagery and Mapping Agency now called the National Geospatial Intelligence Agency, those three. The Central Intelligence Agency of course was separate; they had their own General Counsel. I don't know if David Addington was there or not. I just don't recall that. I know I was at, at least, two other meetings where he was present but this one I don't recall. He could have been. Without getting into either the real specifics of the law or into classified information, can you characterize what was on the table? Fairly soon into the meeting the consensus seemed to be that we had, the executive branch had, the intelligence community had, all the power and authority that at that time they thought they needed. There were some proposals put forward that were quite extreme, but the majority if not the entirety of those who heard the proposals said, "We don't need that; there's no reason for anything like that." And I didn't sense, although there may have been some sort of intellectual prodding by White House Counsel, it didn't strike me at the time as saying -- as my feeling they have an agenda here; they really want to go places that are inappropriate. They may have said, "Well have you thought about this, have you thought about that? Do we need something like this?" But it wasn't pointed; it wasn't coercive in any way. And when we left the meeting, I don't imagine it took more than an hour or so, the sense was, "Well we're going to go on about our business and we have the full complement of authorities that we need to deal with the threat as we understand it." I like to think of myself as a can-do sort of lawyer, one who looks for a way to do something if it's something that's necessary and can be done legally. Think back to my initial remarks and that is the assumption was that all of us, or the vast majority of us career civil service professionals, had been doing everything wrong up until this administration. Whatever it was, whether it was in the Environmental Protection Agency, in the Department of Justice, Department of Defense. And in many agencies there was a purge of career professionals. Now they can't be fired, but they can be reassigned, which is what happened to me at sort of the whim of their superior. And the thought was, I guess consistent with the -- what I described as this purge, we don't even want to hear from these people; they don't think the way they should or the way we do. So it's useless to talk to them. What are they going to contribute because they have a different view of the president's powers or the Constitution or the statute or anything else -- different than what the administration had? David Addington. Tell me more about him and what kind of role he played among the small group of administration lawyers. I didn't know much about the man at all. However, early on in the administration, well before 9/11, I would say in May or June of 2001, there was an incident, a legal issue, that arose with regard to some draft legislation before Congress. And it was a minor, technical thing, I don't even remember what it had to do with now, but the way it was drafted I think was under consideration of whether it was consistent with something else or inconsistent, or whether the statute would do the work that it was purported to -- or trying to do. And I, and other lawyers, who looked at it, at least in the department and I think at the CIA, were convinced, yes this statute was fine as drafted. I heard back through a new lawyer in the General Counsel's Office, the department, that no, it had to be changed; there was a flaw in the statute. And I was convinced that was erroneous, that was just not correct, that, you know, sort of a first year law school reading of the statute, as opposed to a seasoned professional reading the statute. And I argued with this individual and tried to explain to him that he was wrong and in the end he just said, "It doesn't matter, this is just what David Addington wants." And I realized that the world had changed substantially, that best legal judgment just didn't really matter at least in this case. I called John Bellinger, who I knew very well and considered a colleague; he was at the Department of Justice for a time when I was there. I respected John's intellect and his sort of political acumen. And I called him, and at this time he was the Legal Advisor to the National Security Council. And I said, "John, you know, we've got a problem here. You know this statute that's been under consideration on the hill? I understand that David Addington thinks that the answer is B and clearly the answer is A, and this is nuts. And could you intercede?" And he said, "Richard, you know, you're absolutely right, there's no question in my mind but I have to pick my battles with Addington. And this is just not one that's worth fighting over." And I said, "John, you're right, it isn't. It's just not going to matter in the end." But it was just very enlightening. There were I believed two occasions when I was -- that recall being physically in the room with him and other lawyers in the situation room in the White House. And this would have been in I would think early 2002, spring of 2002. And what stands out of my mind is that for most of the period -- I think at one of them Jim Haynes was there also maybe the other one he wasn't, the lawyers who were there were lawyers who practiced in the field that was under discussion. I think Judge Gonzales chaired one of the meetings and maybe John Bellinger the other one. And there was a lively discussion or debate among the four of five lawyers who were intimately involved in kind of the details of what was under discussion, myself included. And then this sort of booming voice from the side, whatever, interjects and just says something like, "That's crazy. You're crazy." You know, "We're going to do this," and my reaction was, "Whoa, we're all professionals, you know we are colleagues, we often disagree on -- but we don't talk to each other sort of like this." And it was sort of an intolerance of any alternative idea, any nuance to the subject, any sort of cautious approach. And it was, as I said, quite a departure from what had been the norm, not only among the four or five lawyers who were there, but the way business had been conducted within the legal community in the executive branch. There was a mutual respect among lawyers; most of us had been doing this for some period of time -- not only knew kind of the details of the law under consideration, whether it was a statute or a Constitutional provision, but were also familiar with the gloss that had built up over years of practice. So you kind of understand things better if you know how that law has been applied over the past 5, 10, 15, 20 years. But again, Addington's approach was an extremely sort of doctrinaire, outspoken, my way or the highway kind of approach. What was the source of his authority, his power? Force of his personality in some part. He's an imposing man physically, and he talks loudly. It was when photos went up in the executive branch offices after the election, in the past it had been, like in the Department of Defense. It would be the attorney general, the president, maybe the deputy attorney general. In the Department of Defense it would be the president, the secretary of defense. In this administration, it was the president and the vice president and then the secretary of defense. The vice president is not in the chain of command -- in the military chain of command. The secretary of defense reports directly to the president, but I guess that changed because the vice president -- this is symbolic obviously, but the vice president clearly took on a role that was at least untraditional in recent history. The counsel for the vice president then I take it would carry some of the weight of the vice president. The vice president was speaking loudest on, for example, national security matters in the administration, then the counsel for the vice president would be speaking loudest. I was only in the room with David Addington twice, could have been once, could have been three times. I was in the room with Alberto Gonzales several times, probably six to eight times. What struck me about Alberto Gonzales was that he had no independent sort of knowledge or contribution that I saw at any of these meetings. And this was quite unusual having been in meetings with most of President Clinton's White House counsels, certainly many meetings with Judge Mikvah, with Lloyd Cutler, with Jack Quinn, with Joel Klein. These were very, very bright people who engaged with me on matters that I had spent hours, days, or weeks thinking about, and they had thought about for all of five minutes, and engage with me on an equal plane, not just with me but with any of my colleagues. If they didn't know the sort of letter of the law, they were smart enough to know what the law probably said. I never saw any evidence of this from Judge Gonzales. In several meetings which were lengthy, meetings at night that appeared to be at the time critical in some respect, we junior lawyers, junior certainly to the counsel to the president, expect at some point kind of this acknowledgement of we're on the right track, we're on the wrong track, have you thought about this, some help in a way, some guidance. I don't recall ever getting that from Mr. Gonzales. I don't know if it's an imbalance, it's just there was a vacuum to fill and you've got this dynamo, you know? Who is willing to walk into the vacuum? Or has been, you know -- it's been determined that he will do that. What was the relationship among Addington -- David Addington, Jim Haynes, John Yoo, that group of lawyers? I can't speak of the relationship between David Addington and others. I can speak to the relationship certainly between John Yoo and Jim Haynes. I think that the Office of Legal Counsel has performed I think by and large admirably over the last 50 years, walking a very delicate balance, trying to be at one time a fair adjudicator of legal issues in dispute and also providing the best legal guidance when there isn't a dispute to executive branch agencies, and at the same time trying to be an independent counsel to the president. The line that was used when I was there, which seems particularly ironic now, was see, we're the lawyers who tell the president no. That changed radically, it appears that they were the lawyers in fact who would tell the president yes, yes. But one of the ways OLC I think was able to maintain its honest, independent sort of disinterest in the outcome of particular legal issues was keeping some distance in effect on a personality basis. Although, again, lawyers in OLC became friendly with and certainly had collegial relationships with lawyers in other executive branch departments or even within the Department of Justice. There was a certain formality to the dealings with these lawyers on legal issues. That seemed to me certainly have changed dramatically with the relationship between John Yoo and Jim Haynes. For one thing, one of the ways that OLC works in a way that reinforces its ability to provide the best legal judgment is by insisting on, with rare exception, but insisting on legal questions being formally presented to OLC, written out with some articulation of what that particular department's view of the world is, what they think the legal issue involves, and what the right answer is. For one thing, many of these issues are -- involve matters that are within the peculiar knowledge of the lawyers within that department, particular expertise, whether it's the Department of Energy, the Department of Transportation, or the Department of Defense. So OLC benefits from having the views, the considered views, of the lawyers in that department. Often times when you -- when you see the resulting opinion -- the question, is at the top of the opinion. "You have asked the following question." That was entirely I think omitted from the practice between the Department of Defense and OLC with John Yoo and Jim Haynes. And a number of opinions flowed from OLC over the period that I was there after 9/11. So for the next 16, 17 months or so I must have seen either in final or in draft form 20, 25 opinions, but I never saw the question. In fact, my reaction to many of them was, "Oh, I wonder what the question was in effect." And I should have had an opportunity to look at the question -- either I or someone else in the general counsel's office of the Department of Defense, because we might have better framed the question. And sometimes you get what you ask for, you know, If you ask for something in too sweeping a manner you might get too sweeping an opinion. But again, this is what past practice had been, practice that I thought had served the Department of Justice well, the departments that ask questions of the Department of Justice well, the president well, and the nation well. And that -- because of the person -- in part, I guess, because of the personal relationship between Jim Haynes and John Yoo. I mean, they had dinner together all the time, they played squash together. And again, if they're friends that's fine, but that seemed to have carried over into the request for legal advice where it was a matter of instead of formulating a well thought out, precise legal question, it was picking up the phone and saying, "Hey, we need an answer to this." It's been reported that some of these opinions from OLC, from John Yoo that the legal opinion seem to be following the policy decision. That's probably not an unfair criticism on some of them. I mean, they look like good legal opinions, they're lengthy, they're well typed, spell check has been used, they cite a lot of cases, and there's a lot of footnotes. But the ones that I saw, many of them, seemed questionable in light of my understanding of the Constitution or the relevant statutes. You know, the other sort of way of criticizing them is saying, it's sort of answer first, rationale to follow. Not the best way ordinarily to write an opinion. I want to talk a little bit about the president's military order in November of 2001. You didn't know much of anything about it as it was being developed? I didn't know anything about it before a day -- I think it was the date of the order, I don't know if it was the 13th, the 16th -- the 13th of November, that I was called into Jim Haynes' office. And he handed me a document. It was a fax, and I looked at it, and it was the president's military order. Somewhat coincidentally, I supposed, again ironically, I knew what it was because I knew a great deal about the Quirin case, the case from World War II. The office that I occupied in the Department of Justice was the office the trial was held in. So I, at some point in my Department of Justice career, I decided to get smart on the history of the Quirin case, and not only the sort of underlying facts, but what had taken place in the Supreme Court. So I knew what a military order looked like. Again, I'm not surprised that it was closely held at the time, but I also think that that particular decision by the president and many others would have benefited from enlarging the pool of people who were involved in the deliberations and in the drafting. I don't know what, again, my position might have been in October of 2001. Certainly it's probably different than it would be today. But during those first weeks or months the pressures were enormous. But I know it was a matter of just intellectual contribution that I would have added something. And I think there are probably eight or ten other lawyers who could have contributed to that. I asked him if he had worked on this, if he had seen this before, and he said no. And that turned out not to be true. It turned out not to be true. He had at least had seen it a day or two before when he showed it -- and I guess I asked him whether anyone else had seen this, and he said no -- anyone else in our sort of office. And it turned out he had asked an army JAG, Colonel Larry Morris, whom I knew, to look at it a day or two before, apparently before it was signed so it was an opportunity for someone to say something I guess, but he was told he couldn't make a copy. The secrecy in -- continued even after the fact so that there was denial of what had happened. Why was there, in the military order, a determination to try these detainees rather than just detain them? I don't know. My best sort of impression, some of it's my own thinking and some of it is sort of intuited from others, is that the expectation was that there would be a large number of people who would be captured and would be -- not be amenable to the traditional criminal justice process -- not for any particularly good reason, but that was just kind of the superficial judgment. They -- for one, if they weren't sort of schooled in what had happened in 1942, they may have assumed that the same motivations drove the attorney general and the president and the director of the FBI back in 1942 to do the same thing. And that is that they couldn't have tried them in regular court. History, I think, has laid that to rest, if not raised it in serious question. With a sort of a shallow understanding of what had taken place historically and what could be done under the criminal justice system and what the body of law governing armed conflict would permit, and not permit, there was sort of this rush to judgment and that was, we need an alternative system. The order itself, as I recall, allows for the possibility that people who were captured and detained would not be tried. They could just be detained, we don't have to mess with trials because that's going to be really difficult, why don't we just hold them and hold them because they, for example, pose a continuing danger to the security of the United States. Not a totally unreasonable position. However, if you want to execute people, the world's probably going to want some semblance of a trial. And I think that they viewed this as accomplishing what Nuremburg accomplished for the losers in World War II, and that is the legal imprimatur on imposing the death penalty. And that there would be maybe dozens of people, Bin Laden on down, who would be captured and who would qualify for the death penalty. We couldn't execute them without some sort of system. And the thought was, let's design a system that's going to make it easier, if not easy, to exact this penalty if we choose to. I think at the time that there was the initial sort of Keystone cops, running around, to draft all kinds of procedures and rules and laws, regulations that would flow from the president's military order. The assumption was that most, if not all, of the people detained would, in fact, be tried by military commissions. And I know that was, the Army who had taken the lead and doing the drafting. I know that that was their working assumption. And I recall having a discussion with them at some point saying, you know the way this order reads, as a disjunctive, as an alternative. And that is if they're going to be tried, this is what happens but it leaves the possibility that they would merely be detained. And that was kind of a, ooh, gee, we didn't think that was going to happen. So the thought was that there would in fact be hundreds of trials. And that, of course, was premised on the idea that everyone we captured and detained really was a bad person. As it turns out, a large percentage of them were merely shepherds. Were you involved at all in the discussions about Guantanamo? And what was that thinking there? I'm not particularly proud of this involvement. The thinking was, and I'm not sure where it initiated, it might have initiated with me, that it might be desirable to detain, this was purely a detention issue, not the tribunal issue, that it might be desirable, advantageous, to detain prisoners in a location that was outside the jurisdiction of the federal courts. I recall one context and this is probably not in sort of chronological order, but at some point when Yaser Hamdi is captured and identified as a US citizen, and he was in Guantanamo. And my, and I think other lawyers' concerns, were that he, of course, as a US citizen, was entitled to challenge his confinement, not only that he was in fact confined but even the conditions of his confinement. And that if the courts, and at that time, Guantanamo was just being set up, and the military was still sort of experimenting in the best facility that, for that purpose and in that locale, what it should look like and how detainees should be housed and treated and everything else -- a very fluid situation. That if a federal court intervened and made judgments on the facilities and the conditions, that it would have an adverse impact on what we were trying to do in Guantanamo, or in any location. But because of Hamdi, it was Guantanamo at that time. There was a request, I think from the Secretary through the General Counsel to investigate possible locations for the detention of persons captured in Afghanistan, the war on terror. I'm not sure how it was worded. And I remember the joint staff collecting the input, suggestions from wherever they came from and there were four or five locations that were at least looked at. A couple in the Pacific -- I think maybe even Diego Garcia, of course that's British, but we have basing rights there. And for valid reasons none of the others seem to have worked. Guantanamo had the sort of the unfortunate, sad history of having housed thousands of people before the Haitian migration. At one time I think there were over 8,000 housed there. So we knew what the facilities were -- water, sewer, things that are you know, practically important. There was very little law on the status of Guantanamo. What there was seemed to be in favor of the courts having no or limited jurisdiction over activities there -- at least arguments could be made to that effect. I participated in several discussions on the relative merits of Guantanamo and the demerits of other locations. Why weren't proud of your participation? Well, in hindsight, I suppose I should have recognized that the actions of jurisdiction left open the possibility of misuse and abuse. And, you know, I for one, at least in my prior professional career, never was afraid of, or would have looked for a way to get away from a federal court or state court review of what had been done. My goal was to see that justice was done. And I could get it wrong. And if I did, or someone else did, I'd want a court to be able to review it. That was harder to understand in January, February, I suppose, or December of '01, January, February of '02. That's one of those things that perhaps should have been a red flag? Yes. A red flag for me and a red flag for others. He became the commander at Guantanamo. He has testified in the Schmidt investigation that he was reporting directly to Secretary Rumsfeld about the interrogations. Does that fit with what you know? I think so. I'm met with him and others, other lawyers. My recollection is that he would come from, and I don't know what period of time we're talking here, five, six-month period. That he regularly flew up from the Naval base to the Pentagon and reported to the Secretary on the status and progress of what was going on there. Now his jurisdiction was not the security of the camp. It was the collection of intelligence from the detainees. And then he would come to our office, the General Counsel's office and sit down with Jim Haynes and myself, Chuck Allen who was my peer, deputy general counsel, who still is deputy general counsel for international affairs, and kind of just discuss in a very informal way what was going on, what his frustrations were, what would seem to be working, what he needed, what he didn't need. He's getting the push for actionable intelligence from the top. That certainly dominated the conversation. I think that there was an expectation that we would have or should have been getting more than we were. That may have been an unreasonable expectation based on the nature of the population what they knew and human nature in general. Tell me about how you started looking around, how you knew about SERE and asked for some more information about SERE. I was familiar with the SERE program -- SERE is an acronym -- survival, evasion, resistance, and escape -- that is used to teach pilots in the main, but others who are likely to be subject to capture in armed conflict. I don't know whether I suggested it to Jim Haynes or someone else, or it was suggested to me -- hey, you know the folks, the SERE folks. I guess I could add that aside from my criminal Justice background and my sort of computer law interest, because of the position I held where I was privy to many of the classified programs of the department, people often came to me and said, is there something that we can use to put a man on the moon that you might know about that no one else does? And I might know that program that exists. So it wasn't unusual that Jim Haynes or someone else might come to me and say, gee, the SERE folks, do they know anything about this kind of stuff. But whatever prompted me, I did contact them and my recollection, and I confess to not having a crystal clear recollection of the events, but my recollection is that I, what motivated me first, maybe foremost was, where's all the learning on this? Where's all the scholarly treatises that tell you how to do this so we can give it to our people who are doing this, have them read the manual, they'll be good at it, too. And they said, there isn't a lot of stuff on this first of all, kind of confirming what I thought. We haven't done a lot of this in the last few decades. There is a library of material, and we can get it for you. And I said, please do. I'm under some pressure from my boss to get it right away. It occupied two or three board feet on my shelf. And interestingly it was - 95 percent of it was work done in the early and mid 1950s. All Manchurian Candidate kind of studies. A lot of them, Ph.D. theses, stuff that was reported in professional journals, a lot of it, I mean, focusing on what had transpired in Korea and what the effects were on the US forces, those who are able to resist, those who didn't, what the techniques and tactics were of the North Koreans. It was interesting stuff. I didn't know of what particular relevance it would because I'm not really sure, maybe I wasn't really sure what the question was other than trying to find where the learning was -- where the smart people were on this also. I do remember having one or two theoretical discussions with a couple of the SERE folks about human nature and how people behave under stress. And I remember, not sure if I remember, recall I'm not sure if we discussed it but there's a famous scene in George Orwell's book, 1984, with the protagonist, I forget his name now, but he was deathly afraid of rats. And so he could withstand anything except rats and he's ultimately, his head is put in a cage with rats and it's kind of the, everyone has their ultimate fear. Usually, I mean in a benign way, in a criminal justice context it was often, as long as they know their family isn't going to go to jail, they'll talk to you. It's being reported by others, in some of the cases of the reverse engineered SERE tactics, dogs stand in for rats, female interrogators stand in for rats interrogating the Muslim males who are detainees. True. And my reaction is, certainly man can, in man's imagination, devise the most horrific sorts of things. The fact that they may exist in literature or may have been practiced by -- by people over historical periods is quite separate from whether they're moral or legal or anything else. There's no judgmental comment here. It was merely, if asked the question, for example, is there anything in writing that describes an effective sort of horrific technique for getting someone to bend to the interrogator's will? There may be. There, in fact, is. But that doesn't mean anyone should even consider it. The fault or the flaw in much of this sort of reasoning and discussion about effective interrogation techniques is that it was premised on the ticking-bomb scenario. And while that works for entertainment purposes, in real life it doesn't. For two reasons, one practically there are no, or very, very, very few, scenarios that even approach the ticking-bomb problem. And secondly, if one engages in that kind of decision-making, one has to be aware of the unintended consequences. One has to be prepared to somehow confine it to only the true ticking-bomb scenario. And that did not happen in this administration. It's hard to limit it. Hard to contain it. Some people that I've interviewed on this program, one of their greatest fears now is, as one of them put it, the "normalization of torture." If it is, it's a sad comment. And the Department of Defense and the White House is not the only contributor to that change. I mean, obviously entertainment has helped. I guess one has to recall that the United States, and every other civilized country in the world, came to the realization years ago that torture was never justified, never justified as a legal matter, and signed up to a Convention Against Torture. In doing so, they made a calculation. And that is they were willing to forego the opportunity to perhaps gain some information, accomplish some national security objective in return for a safer, more humane world. That was the equation. And we all said we want a safer, more humane world. Understanding there's a cost to that. But the benefit outweighs the cost. And we seem to have forgotten that we made a conscious decision when we signed up to that Convention Against Torture. You described what has taken place as the perfect storm. What do you mean by that? There are a number of contexts, but maybe the one that's most salient for me is in a legal context. And that is that people, I'll say by and large conservative legal scholars, who had thought and written a fair amount about the powers of the executive and the flaws in a system where the branches were in fact co-equal, the legislature particularly and the executive, took power. And without a catalyst, without sort of a catalyst and an opportunity, I think it would have been very difficult for these lawyers to have worked the revolution that they tried to do. But given the exigencies of 9/11 most, including myself, were willing to at least consider, entertain thoughts on how the president should be empowered to deal with this apparent crisis. Looking back, I was mistaken. I was misguided. But I don't know what would have happened if there'd been a 9/12. I don't know what would have happened to the country, I don't know how I would have performed as a lawyer. I know now, 74 months later, that I was remiss in my failure to speak louder about some of the things that I thought were wrong, and that were taken inadvisably and did violence to the delicate balance in our government and as envisioned by the framers in designing a government of shared power and separate power.